Make the marinade: Whisk together all ingredients; pour into a large freezer bag and set aside. Take the steak out of the refrigerator an hour before cooking, allowing it to sit at room temperature (a crucial step). When ready to cook, set the oven to broil – allow to preheat for a few seconds; adjust top oven rack to the upper shelf. Remove the steak from the marinade and set on a broiler pan – place in oven and cook for 4 to 5 minutes per side (for medium rare). Remove from the oven and tent with foil, allowing the steak to rest for 10 minutes – slice it thinly across the grain and serve. I made this for dinner tonight. It was awesome! I had only had a few hours for the meat to marinate. 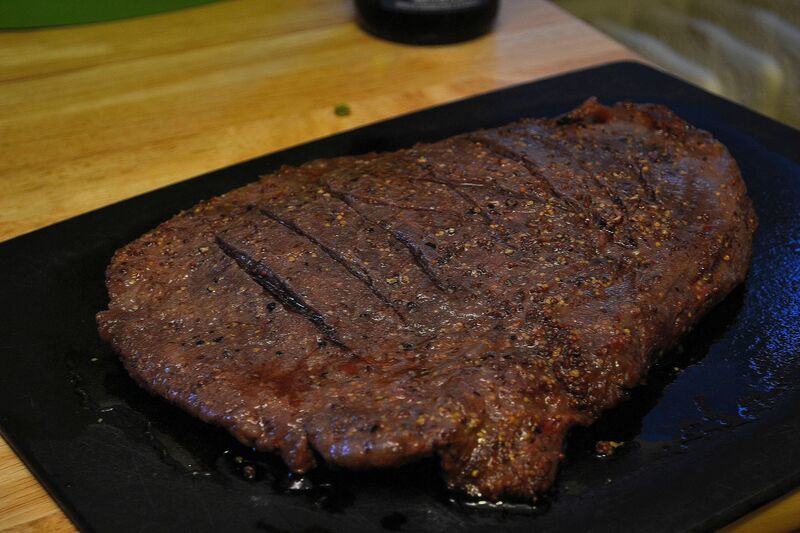 It marinated the steak for about 4 hours. It was perfect. Thank you for sharing.